Cloud computing is more important than ever in the digital age – especially for business, which needs to manage and move vast amounts of information every nanosecond. 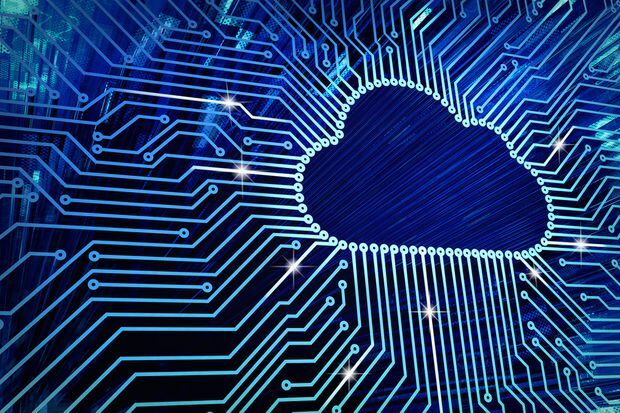 “To maximize the benefits of the cloud, think of it as a business plan and not just a tech strategy,” says Tony Ciciretto, president and CEO for TeraGo, an end-to-end cloud services company that helps companies migrate to the cloud. “Many business leaders come to us having experimented in moving a few simple workloads to the cloud, and find that by collaborating with our team and creating a hybrid IT approach they see the bigger picture, and achieve the bigger impact, of cloud,” he says. Moving to the cloud can help companies focus on what they do best. “In the past, many companies tried to manage all their own IT, and this can become unwieldy,” says Marek Laskowski, Deloitte data scientist in the Cognitive Analytics and Visualization Lab at York University’s Schulich School of Business in Toronto. As organizations grow, they may end up with a huge, costly IT department, he adds. “If you’re in the cloud, your smart, talented people can spend less time on IT and more on your company’s business,” says John-Kurt Pliniussen, professor of digital marketing, creativity & CRM at Queen’s University’s Smith School of Business in Kingston, Ont. Nabeel Sherif, cloud evangelist at TeraGo, finds that in his experience, clients are most successful when they focus their technology experts on applications that are unique to their business. “For example, we work with software developers with market-leading customer service applications who write their own code, but leave the cloud architecture and management to us,” he says. Sherif points out that companies like TeraGo have solution architecture and operations teams that are specialists in their own cloud products. He notes that TeraGo is also an Amazon Web Services (AWS) Consulting Partner. As news of data breaches and cyberattacks continue to dominate the headlines, security has become one of the biggest concerns of business leaders in Canada and around the globe. A 2018 survey* of over 3000 CIOs (chief information officers) in 98 countries by U.S. research and advisory firm Gartner revealed that a whopping 95 per cent expect cybersecurity threats to increase and impact their organization. “You may be surprised, but moving to the cloud can improve a business’s security,” says Christopher Taylor, VP, Product Management and Business Development. “For example, a Canadian business can benefit from the depth and breadth of AWS. The security infrastructure was built to satisfy military, global banks, and other high-sensitivity organizations. AWS has more than a million active users a month, so there’s a lot that can be learned from the customer experiences too,” he says. As companies grow, effective communication between employees becomes more and more crucial. Moving to the cloud means employees can work from anywhere at any time, improving speed and efficiency. “From Generation X to Z, employees have become adept at communicating more quickly and getting more accomplished, while sharing data and working from different locations,” Sherif says. Sherif notes that IT departments are champions of the cloud because they understand its benefits for innovation. Because cloud platforms are ready to go, businesses don’t need to invest time and funds for set-up, Taylor says. Taylor explains that TeraGo offers a packaged solution for AWS that includes a half-day consultation with the business to assess their needs. Moving to the cloud can allow organizations to reduce significant capital costs, because investments in infrastructure are either much smaller or no longer required at all. TeraGo’s Ciciretto points out that a comprehensive cloud strategy can reduce the ongoing cost of innovation – constantly having to assess and re-invest in upgrades and new technologies to keep up with market and employee demands. Moving to the cloud can also generate savings when it comes to recruiting and staffing costs, he adds. These savings mean that your journey to the cloud can not only deliver better focus, teamwork and productivity in your business. It can also deliver a better bottom line.